Sabre Red incapacitates the attacker for up to 1 hour. The effects are immediate. The idea is to be prepared, so take Sabre Red wherever you go. 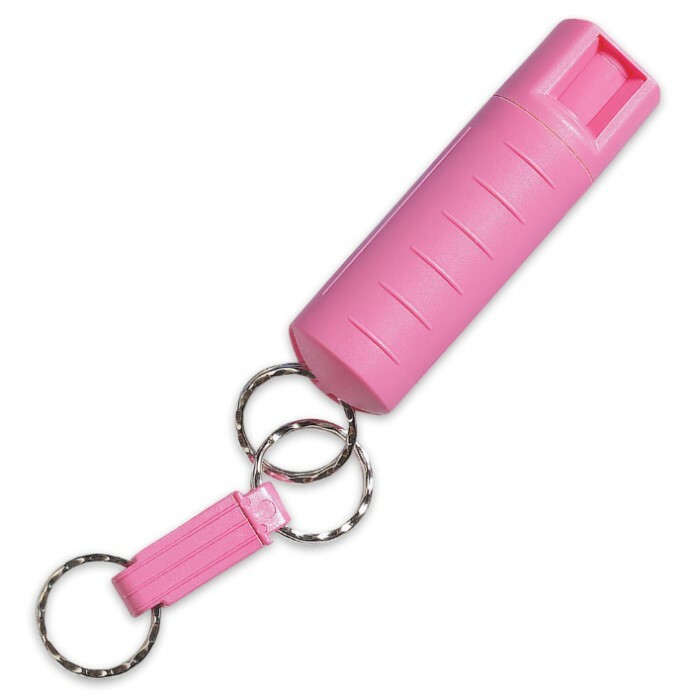 This key chain unit can blast up to 25 sprays of up to 10 feet in distance so you'll surely be able to hold off any attacker. Just me again, I bought another two as soon as I had some extra funds! It seems the stupid Philippine police confiscated my wife's Sabre pepper spray that last time and she's been carrying around this cheap "Cheetah" pepper spray that came with a taser I bought a few years ago... I bought two of these (one for extra) to replace the one lost, this is a MUST HAVE for women nowadays! 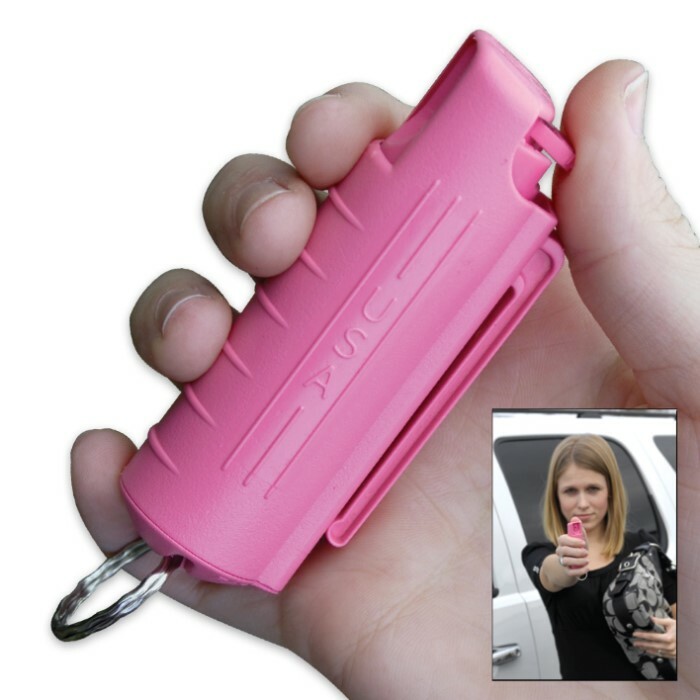 Don't let your woman be caught without one! Bought this for my girlfriend who lives in an apartment complex with alot of college students. let her test it out to see how it aims, its got good distance, would hit even further then 10 feet with a little tilt. 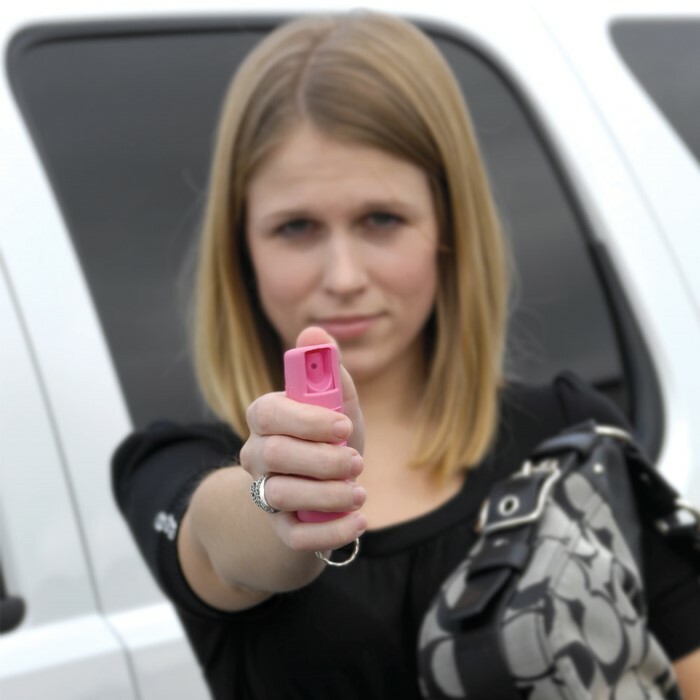 also not like other sprays that look like something else in your purse stands out so they can get to it fast. Editor's Note: Thank you for your comments. We have updated the review to reflect the appropriate spelling. Got this for my wife. She loves the color and design. Everyone of her girlfriends asks about it when the see it. SABRE is a great brand as most police departments use it.